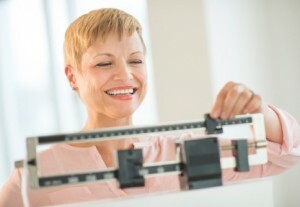 If you are interested in maintaining a healthy weight, whether your intention is to gain or lose weight, clinical hypnosis is an effective, safe, short-term treatment option because weight control has just as much to do with your mental state as it does your physical one. The hypnotherapy weight control program offered by Gluck Solutions, addresses your weight issues by tacking them at the core of your subconscious. By altering your neural pathways, hypnosis has the ability to completely alter one’s whole relationship to food and exercise. The hypnosis approach is based on the science of ultra-metabolism, which takes into consideration an individual’s lifestyle, blood type, age and food choice. Together we will work towards your goal weight, and I can and will empower you to exercise personal responsibility in your life, allowing you to lose or gain weight healthily and on your terms. Determine the psychological origins of your behavior, so that you can deal with the emotional aspect of your problem. Break the negative behavior pattern and instituting new, positive eating habits and attitudes. Help improve your self-image, self-esteem, and self-confidence. Help establish a connection between your mind and your body’s natural rhythms. Give you back control over your lifestyle and nutrition. We offer the option of individualized diet-plans, which combine low glycemic index foods and protein foods with healthy fats that accelerate weight loss or promote weight gain, but won’t leave your taste buds unsatisfied. Whether you wish to gain or lose weight, the ultimate focus is maintaining a healthy body and having a well balanced diet is key, however, this does not mean you must sacrifice the quality of taste. Along with the diet, we can also provide you with a customized workout program, designed to target your specific trouble spots, so we can sculpt your body in the way YOU desire. This workout can be done at home, and can take less than 15 minutes to complete each day. For those interested in weight loss specifically, we also offer natural supplements that are manufactured and verified by Gluck Solutions, which promote and accelerate the weight loss process. With these seven steps I can eliminate the personal pressure and anxiety you feel surrounding weight control, thus allowing you to have a healthy attitude towards diet and exercise. This way, it will feel as a more habitual, accepted part of your daily routine, and you will not feel as if you are denying yourself of anything. Eventually these new establish patterns will feel as natural as brushing your teeth every morning; it’s not work- it’s not a chore- it’s just part of taking care of yourself. Best part is, not only will the hypnotherapy allow you to adapt to changes in your routine with ease, but also I will be there to support you, motivating and encouraging you all along the way. So if you are interested in changing your life, give my office a call today. (212) 599-3195. This entry was posted in weight control hypnosis, Weight Loss Hypnosis and tagged hypnosis for weight loss by Dr. Errol Gluck. Bookmark the permalink.